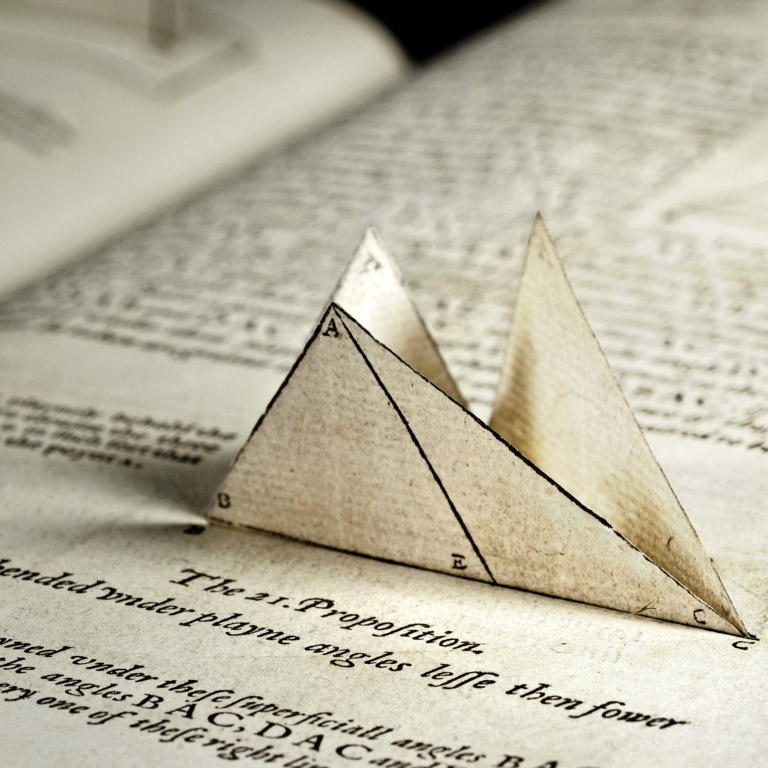 As part of Oxford University's Seeing Euclid project, the University of Aberdeen was invited to become part of a Euclidean network of Special Collections and Libraries showcasing their own rare, pre-1700, annotated copies of Euclid's Elements. Join us for a rare glimpse inside three rare copies of Euclid's 'Elements'. The University of Aberdeen's Special Collections contains a number of unique and beautiful mathematical texts and Rare Books curator, Jane Pirie, has selected three particularly important copies of Euclid's 'Elements' to feature in a facsimile display that will be on show outside the Reading Room on the lower ground floor of the Library throughout the summer. On Thursday 28th June, there will be a rare opportunity to see the actual books at a special "Euclidean Collections Close Up" event. Drop into the Special Collections Seminar Room, opposite the Reading Room on the lower Ground Floor of the Library between 1-2.30pm.